Show pictures of tracks on the computer or in books. I had some prints of tracks I had found by a pond on a walk at my in-laws house. Ask the kids to guess what types of animals they think left the tracks, and tell them they will know by the end of the class. 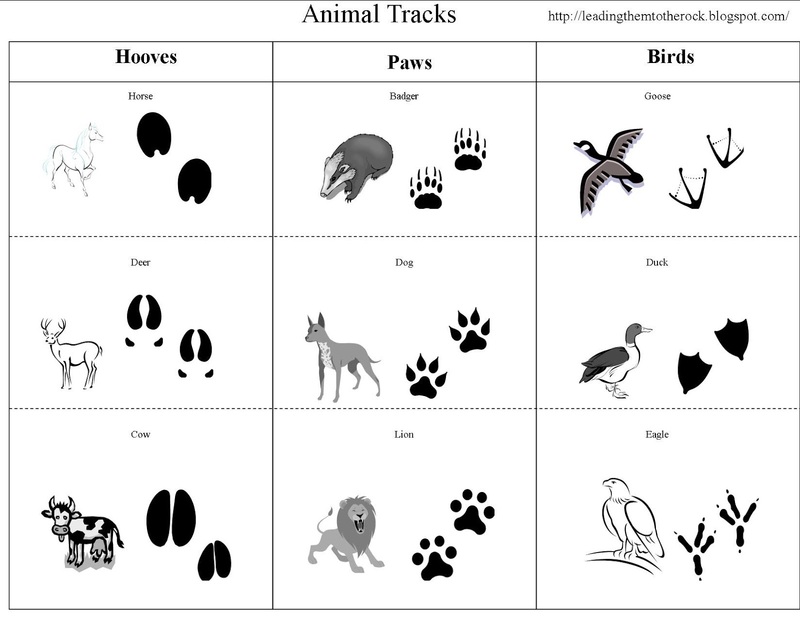 Younger Children- Focus more on the track pages and talk about sizes and shapes. Older Children-You can extend the lesson by going into the differences Canine vs. Feline tracks. 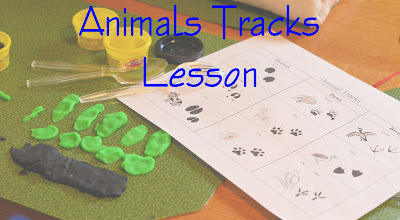 Use play-dough, plastic forks and spoons to recreate animals tracks on the worksheet.